A Wheelbarrow of Good Cheer! 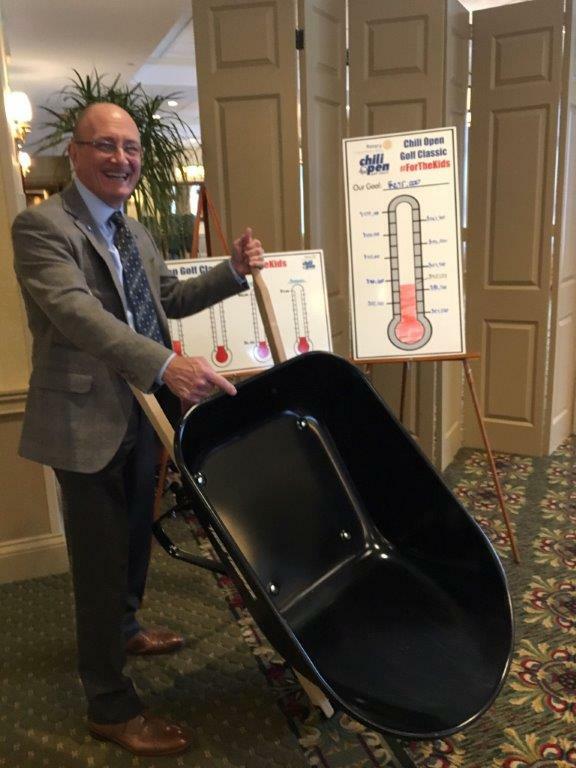 The 2019 Chili Open silent auction will feature a Wheelbarrow of Good Cheer! Please help us fill the wheelbarrow with any donation of unopened bottles of spirits and mixers, bar glassware, cocktail napkins, etc. Please bring your donation to a Tuesday Rotary Club luncheon. This will be a very desirable item to bid on during the auction, and the winning bidder gets to take home their new wheel barrel along with all of its contents. Thank you in advance for your donations to help make the Chili Open a continued success to benefit Akron Rotary Camp!